Protesters stage a die-in outside of Sen. John Cornyn's office. 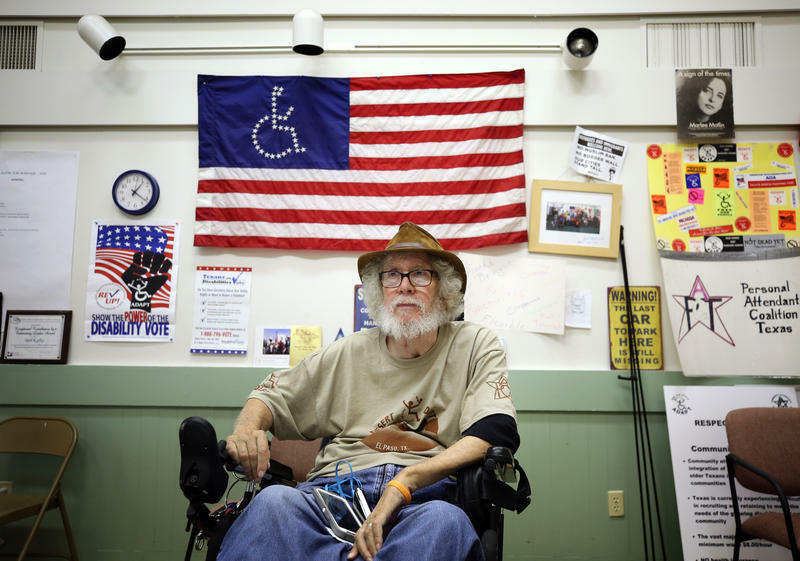 “We’re here today to send a powerful message to Sen. Cornyn and Sen. Cruz: A bill that drops 22 million people off of insurance and cuts almost $800 billion of Medicaid is unacceptable,” said Bob Kafka, an organizer with the disability rights group ADAPT of Texas. A Congressional Budget Office report released Monday found that if the bill passes, 22 million fewer people would have health care coverage over the next decade, in large part due to cuts to Medicaid. 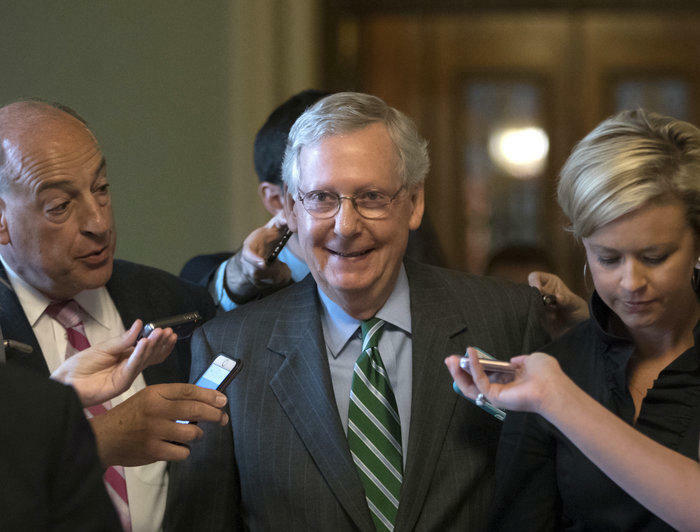 On Tuesday, senators delayed a vote on the bill after it looked unlikely to pass. Lawmakers hope to have a new draft by Friday. 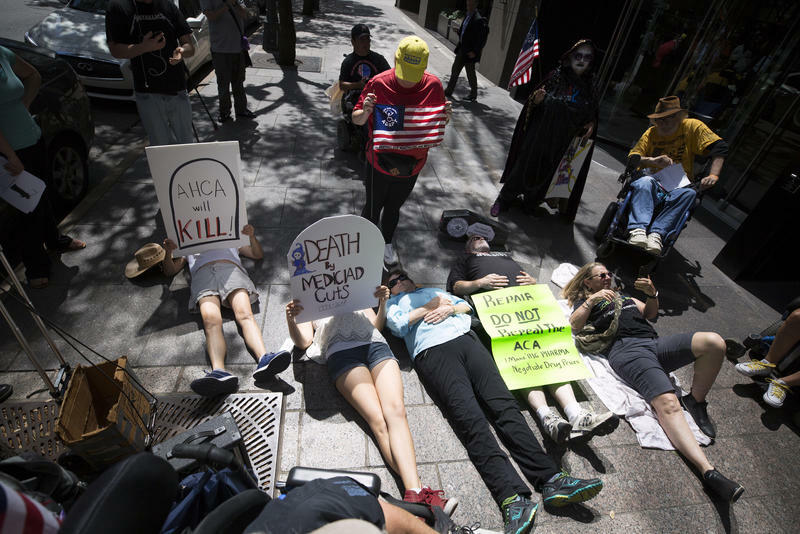 After he and others spoke, the group of about 20 protesters marched down Congress Avenue to Sixth Street where they laid in front of Cornyn’s office building. Holding fake tombstones, the protesters pretended to die because of the potential health care cuts. Kafka said the die-in was intended to persuade the senators into speaking with their constituents. Advocates are planning another rally at the Capitol on Thursday night to protest the Senate bill. Organizers plan to make a ring around the Capitol and have participants share concerns about the proposed legislation. Liam Alteneder contributed to this report. The Senate’s proposed replacement for the Affordable Care Act has “declared war on people with disabilities of all ages,” a disability rights advocate said Monday after the Congressional Budget Office released a report scoring the legislation.